1. Copy/Paste operations with multiple bars were improved. 2. Instruments sorting and accolades placement according to groups of instruments were improved. 3. Improved Help System. 4. Automatic Rests placement was improved. 5. Chords Panel. 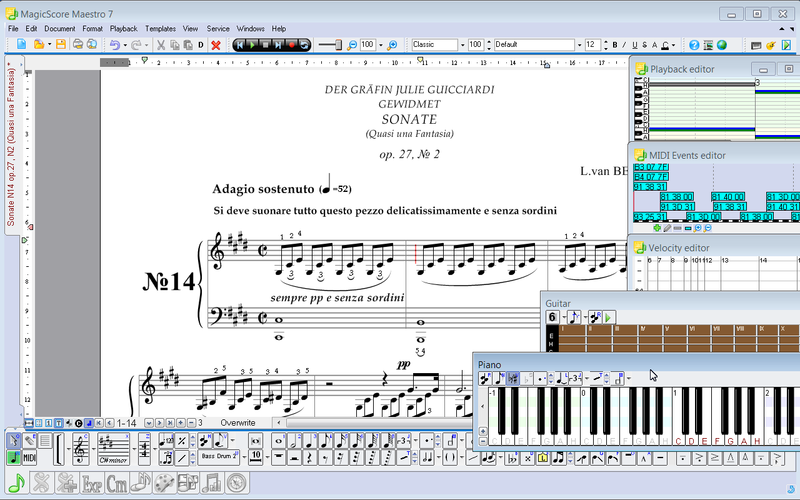 Automatic Chord Builder and Usability were Improved.